While Apple held their September event on the West Coast yesterday, Sony had their own announcements to make on the opposite side of the country at the PlayStation Theater in New York City. The big news: the Sony PS4 Pro console. The PS4 Pro is not Sony’s next generation console, but rather an improvement to the existing PlayStation 4. The Pro will still play PS4 games (supposedly better and smoother), and will also support PlayStation VR titles (although the max rez for PS VR is 1920 x 1080). Games that will be take advantage of PS4 Pro include Deus Ex: Mankind Divided, Infamous Second Son, Shadow of Mordor, The Last of Us Remastered, and Uncharted 4: A Thief’s End, among others. But 4k and HDR are the hot items here. Microsoft has already released the 2TB Xbox One S with support for 4k and HDR, earning the attention of Ultra HD TV owners who want to play games and watch movies in higher resolution than 1080p and with more color depth. Sony’s PS4 Pro does both: 4k (2160p) and HDR (utilizing the HDR10 spec). Of course, the 4k TV must be a TV that supports High Dynamic Range in order to take advantage. Wondering about the other HDR spec, Dolby Vision? Sony says they have “no plans” to support Dolby’s color standard for HDR. The question everyone wants to know is if it will play Ultra HD Blu-ray Discs? It will not. Go figure. Sony was the company that brought Blu-ray to fruition. But now, as UHD BD is just taking off, they have missed an opportunity to include support for the format in the PS4 Pro. And wouldn’t you know that Xbox One S does? We guess Sony isn’t worried about rushing into 4k Blu-ray. What if you own a PS4 but want to upgrade to the Pro and copy all your files to the new console? 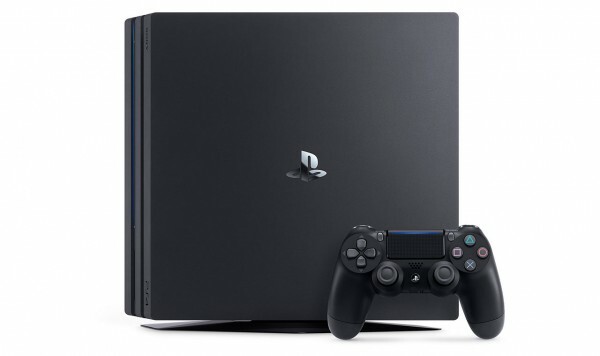 The transfer is as easy as connecting both consoles via an Ethernet cable, as long as the units are running OS 4.00 or higher. Finally, what will the PS4 cost and when will it start shipping? Sony has priced the PS4 Pro at $399.99 USD ($499.99 CAD), and will release the console on November 10th in both the US and Canada.